DREWETT, F. F., Pte., Queen's (Royal West Surrey Rgt.) He joined in June 1916, and in the following year crossed to France, and unfortunately met with an accident whilst serving as a stretcher bearer during operations at Arras. On recovery he rejoined his unit and after fighting in many engagements, gave his life for the freedom of England in the second Battle of the Somme on March 23rd, 1918. 120, Kirkwood Road, Nunhead, S.E.15. DREWETT, H. W., Private, 2/4th Hampshire Regt. Joining in November 1916, he completed his training and after serving at home for a time, crossed to France in December of the following year. In this theatre of war he took part in heavy fighting at the Battles of Cambrai, the Somme and many engagements in the German Offensive. Unhappily he was killed in action on July l0th, 1918, during the subsequent Allied Advance and was entitled to the General Service and Victory Medals. 151, Ilderton Road, Rotherhithe, S.E.16. DREW, E.T., Cpl., 3rd (Prince of Wales') Dragoon Gds. He volunteered in September 1914, and four months later landed in France, where he was wounded at Hooge in June 1915. Invalided home, he was transferred to the Military Mounted Police on recovery, and, drafted to the Western Front in March 1916, served with that unit in many parts of the Line, and was again wounded on August 21st, 1917. Unfortunately he died from the effects of his injuries two days afterwards. He was entitled to the 1914-15 Star, and the General Service and Victory Medals. 92, Shardeloes Road, New Cross, S.E.14. DRINKWATER, P. M., Private, R.A.S.C. (M.T.) He joined in May 1916, and early in the following year embarked for France. There he did valuable work in transporting supplies and ammunition to the forward areas during his services overseas, and was frequently under shell-fire. After the Armistice he went with the Army of Occupation into Germany, and stationed at Cologne, was there engaged on special work for some time. He was demobilised in October 1919, and holds the General Service and Victory Medals. 112, Rolt Street, Deptford, S.E.8. DRISCOLL, J. M., Pte., 5th (Royal Irish) Lancers. Having enlisted in September 1913, he was serving at Dublin when war was declared, and in June 1915 proceeded to Egypt. Soon afterwards he was sent to France, and after fighting at Loos, the Somme and Albert, was drafted in November 1917 to Italy, where he fought on the Piave. During the next year he was in action during the whole Retreat and Advance except for a period he spent in hospital owing to an accident. During his service he was twice wounded, and served with the Munster Fusiliers and Royal Warwicks. He was discharged in February 1920, and holds the 1914-15 Star, and the General Service and Victory Medals. 16, Limesfield Road, Nunhead, S.E.15. DRISCOLL, T., Pte., 22nd London Regt. (Queen's). He volunteered in January 1915, and for a time was retained on duties of an important nature in England. He proceeded to France in March 1917 and fought in many engagements, and was wounded at the third Battle of Ypres. After receiving treatment at the Base hospital he returned to the Front Lines and was in action at Passchendaele and Cambrai and in the Retreat and Advance of 1918, and was again wounded. Demobilised in January 1919, he holds the General Service and Victory Medals. 16, Renforth Street, Rotherhithe, S.E.16. DUDLEY, A. C., Private, 20th London Regiment. Volunteering in May 1915, he was engaged, after a course of training, on important duties at various stations with his unit. Owing to physical unfitness he was not able to obtain a transfer overseas, but, nevertheless, rendered valuable services until discharged as medically unfit in June 1917. 13, Staveley Road, Peckham, S.E.15. DUDLEY, D., Rifleman, Rifle Brigade. He volunteered in June 1915, and after his training served for nearly two years on important duties in England. Proceeding to France in 1917, he took part in many engagements and was unfortunately wounded at the third Battle of Ypres in July 1917. He was invalided home and after receiving hospital treatment was discharged as medically unfit for further service in June 1918. He holds the General Service and Victory Medals. 16, Commercial Road, Peckham, S.E.15. DUDLEY, J. W., Gunner, R.G.A. He was already in the Army when war broke out, and until 1915 was engaged on various important duties in England. Proceeding in that year to the Western Front, he served in the Somme and Arras sectors, and later returned to England. Afterwards, however, he again went to France and did good work until the cessation of hostilities, when he proceeded to Germany with the Army of Occupation. He holds the 1914-15 Star, and the General Service and Victory Medals, and in 1920 was still serving. 24, Aldeburgh Street, Greenwich, S.E.16. DUDMAN, C. E., Pte., Devonshire Regt., and M.G.C. He volunteered in November 1915, and in the following year was drafted to France, where he fought at Albert and Beaumont-Hamel, and was wounded in November 1916. On recovery he took part in actions at Messines, Menin Road, Lens and Bullecourt. He then proceeded to Italy, and served on the Piave and the Asiago Plateaux, and was again wounded in action in May 1918 In January 1919, he was discharged as medically unfit for further service, and holds the General Service and Victory Medals. 28, Hook's Road, Peckham, S.E.15. DUDMAN, F. J., Sergt., Duke of Cornwall's L.I. Volunteering in August 1914, he proceeded overseas in the following May, and during his service in France fought at Ypres, the Somme, Bullecourt and Menin Road and in many other operations. He was subsequently transferred to the Royal Fusiliers and served at Rouen for a time. He holds the 1914-15 Star, and the General Service and Victory Medals, and was demobilised in March 1919. 47, Maxted Road, Peckham, S.E.15. 28, Reculver Road, Rotherhithe, S.E.16. DUFFY, F., Cpl., Q.O. (Royal West Kent Regt.) Volunteering in June 1915, he proceeded to France in the following May and took part in severe fighting in the Battles of the Somme, Arras and Bullecourt. He died gloriously on the Field of Battle in the Somme sector on September 7th, 1917, and was entitled to the General Service and Victory Medals. 38, Prince Street, Deptford, S.E.8. DUGGAN, A. M., A.B., Royal Navy. He joined the Navy in April 1912, and saw service in several ships, including H.M.S. "Formidable," "Devonshire," "Actaeon," "Dolphin" and "Thunderer." He took part in the Battles of Heligoland Bight and Jutland, and in various minor engagements, and was wounded. Later he was transferred to the submarine K4, in which he did important duties in the North Sea, and unhappily lost his life when she was torpedoed on January 31st, 1918. He was entitled to the 1914-15 Star, and the General Service and Victory Medals. 27 Hut, Tunnel Avenue, Blackwall Lane, E. Greenwich, S.E.10. DUGGAN, F. (Mrs.), Special War Worker. From February 1917 until January 1919 this lady was engaged on work of National importance at Woolwich Arsenal. She was principally employed on important duties in connection with the production of bullets, and rendered valuable services. 27, Hut, Tunnel Avenue, Blackwall Lane, Greenwich, S.E.10. DUGGAN, J. M., Special War Worker. During the course of hostilities, he rendered most valuable services at Woolwich Arsenal in the capacity of foreman in the T.N.T. Shop. Throughout his three years' service he carried out his arduous duties in a most commendable manner. DUGGAN, W., L/Corporal, Rifle Brigade. He joined in November 1916, and in April of the following year was drafted to France. Whilst there he took part in engagements on many sectors of the Front, and on three occasions was wounded. During the Retreat of 1918 he was unfortunately taken prisoner, and was held in captivity for eleven months. On being released he returned to England and was demobilised in December 1919, holding the General Service and Victory Medals. DUKE, A. J. E. (D.C.M. 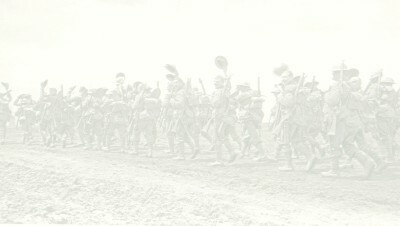 ), L/Cpl., 10th Essex Regt. Volunteering in August 1915, he was drafted in July of the following year. to France and took part in many notable engagements, including those at Ypres, the Somme, Arras and Cambrai, and also served in the Retreat of 1918. He was awarded the Distinguished Conduct Medal for conspicuous bravery in carrying a wounded officer to safety, but shortly afterwards was unhappily killed in action on April 13th, 1918. He was also entitled to the General Service and Victory Medals. "His name liveth for evermore." 304, Crystal Palace Road, E. Dulwich, S.E.22.